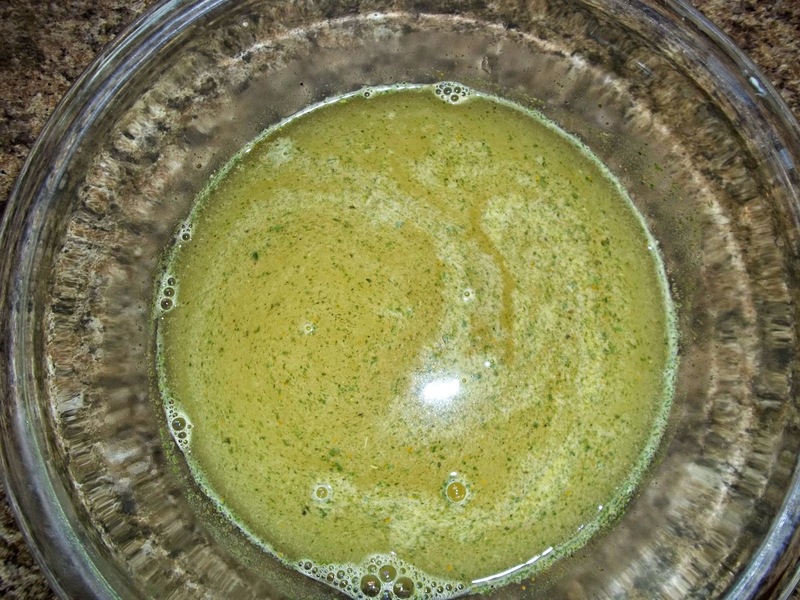 WARNING: If you are on a diet- this recipe is NOT for you! If you cannot eat starch, turn away now! This is COMFORT FOOD. Bad for you- but oh so good. Now that I’ve put up that disclaimer, we can continue. This is my mother-in-law’s recipe. It’s the dish she makes whenever she asks what we want for dinner. It’s delicious! 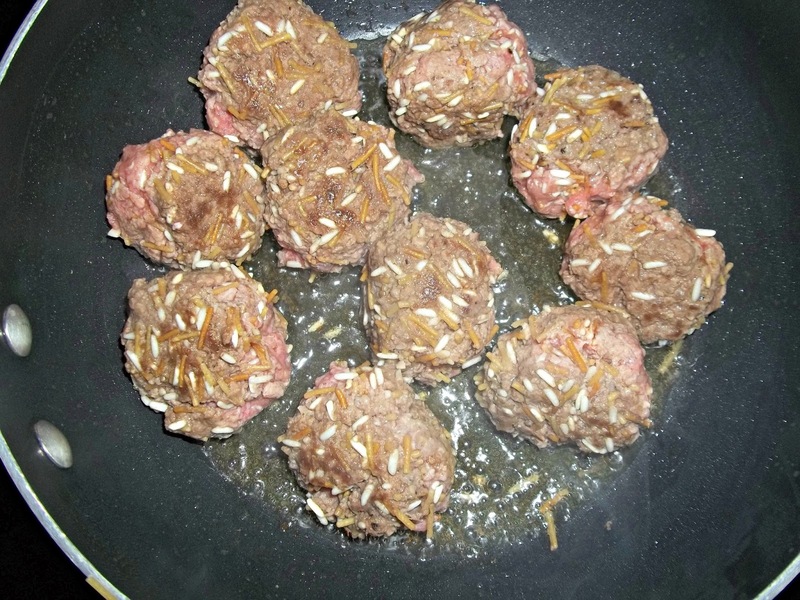 Porcupine meatballs- Her recipe is approximately 12,002 steps, so don’t tell her I’ve simplified it a little…shh….. Ground beef (I used 2 lbs), boxed chicken rice, and several packets of brown gravy (healthy, right?). One thing my mother-in-law is adamant about, is the gravy. She says you MUST use Aldi brand. The cheap-o kind. It’s salty deliciousness is what makes this so good. I have actually tried other brands, and she’s right, though I hate to admit it. The Aldi brand is the best. First off, brown the rice in butter, just like the package directions says to do. Just toast until it’s a nice golden brown. 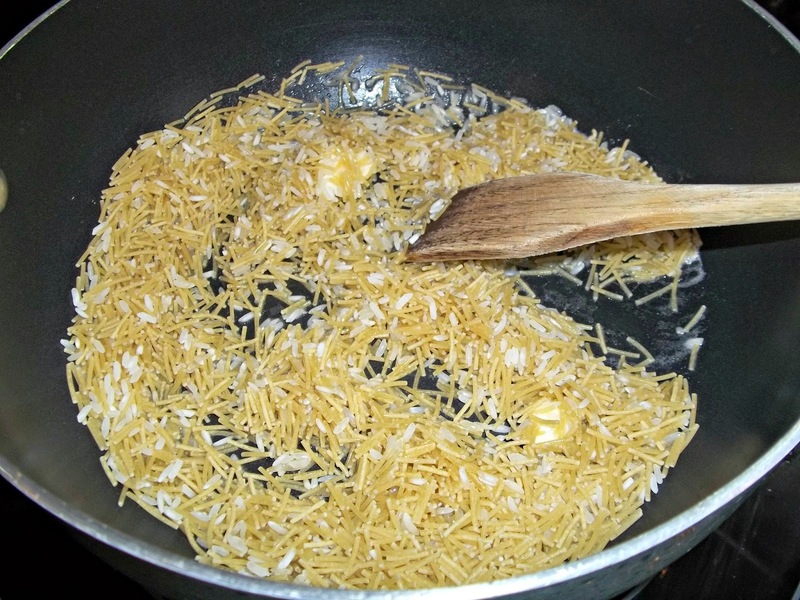 Meanwhile, mix the seasoning packet with the specified amount of water on the box and set aside. Let the browned rice cool for a few minutes and then mix it with the ground beef. You can also season it up however you like, but I just go with salt and pepper. 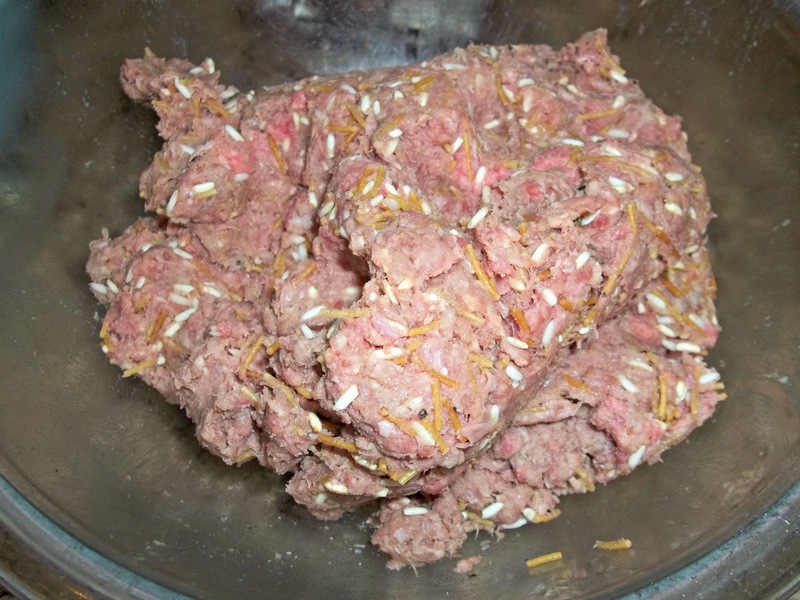 In the words of my Grandma, roll yourself up a mess of meatballs. 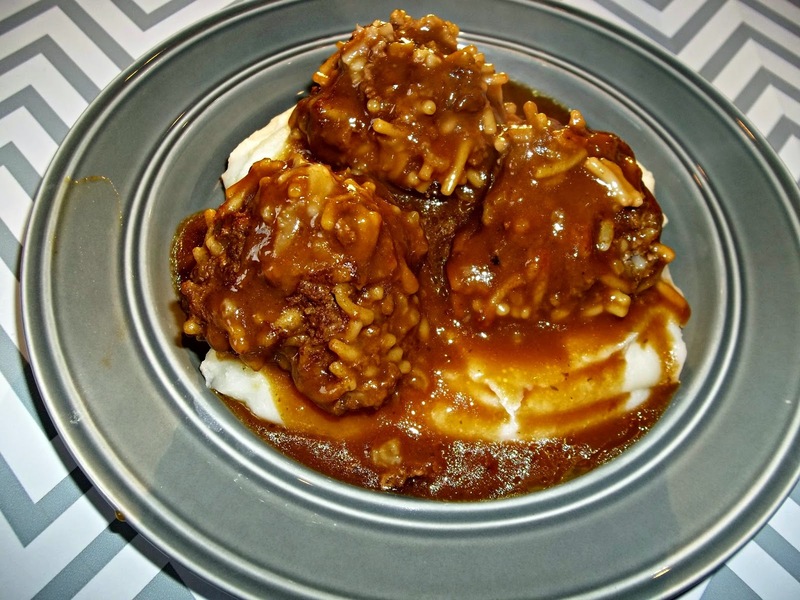 You’re not entering into a meatball beauty contest here, it’s comfort food. It’s supposed to look homemade. So just roll them and set aside. We make ours pretty big, but you can do whatever size works for you. Now fit them in a pan. If you’re using as much as I did, you’ll need 2 pans. You don’t want to overcrowd them. 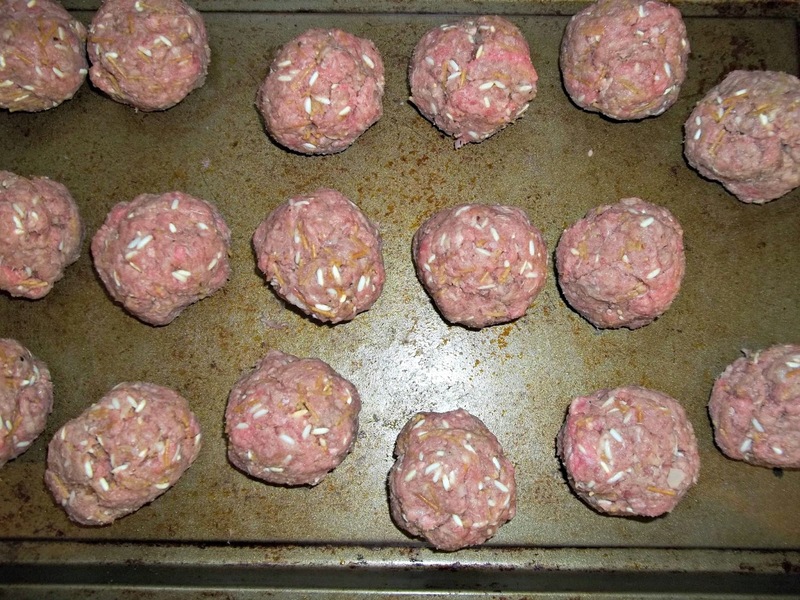 After they are browned, you may take this time to drain out the grease, depending on how lean your ground beef is. Now pour in the water with the seasoning packet in it. I split it between the two pans. Bring to a boil, turn down to a simmer and cover. Cook for 20 minutes or so, until the meatballs are cooked through, turning occasionally. I forgot to take a picture of the next step, but while the meatballs are cooking, cook the brown gravy according to the package directions. (I used 4 packets). I also made mashed potatoes. Normally I’d do homemade, but since it was just the hubby and I, I made boxed. Don’t tell. 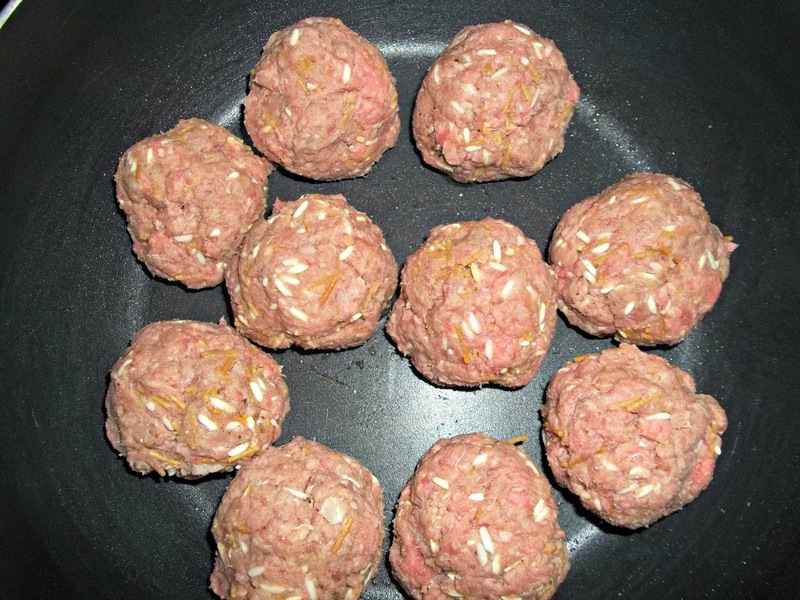 Now pour the gravy over the meatballs and give them a stir. See how steamy and delicious they look? Now serve them over some mashed potatoes with extra gravy. These are great after a long day. Hubby had a bad day at work? Kiddos driving you nuts? Comfort food to the rescue! And since I’m from Indiana, where we like starch on starch on starch,we serve our Porcupine Meatballs with some bread and butter. Try it- you won’t regret it. What’s your favorite comfort food recipes? If you want to see another one of my favorite comfort foods, check out my Crock Pot Chicken and Dumplings.